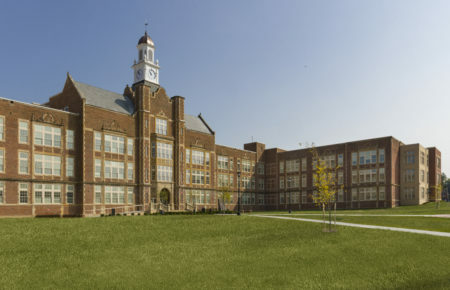 183,000 SF of the 1925 High School was completely renovated to replace all interior finishes, doors, windows, HVAC, plumbing, electrical and technology systems to return the facility to its original grandeur while accommodating contemporary instructional models. The building also received 173,000 SF of additions to house the District’s career tech programs, additional classrooms, physical education spaces, a new pool and fine and performing arts facilities. The project utilized Student Centered Learning Environments in numerous academic departments. The addition contains a variety of CT programs. The BSHM PK-8 building design creates academic houses that contain two grade levels in each pod. The classrooms are centered around an open Extended Learning Area (ELA) - each classroom is equipped with large operable doors to facilitate easy access to the ELA. The BSHM design provides a food service/dining commons that will allow the school to run two lunch periods simultaneously so that PK-4 students and grade 5-8 students are separately served. The dining commons serves as the event lobby for the twin gymnasiums. Ohio Wesleyan University retained the team of BSHM and LITTLE to design themed Small Living Units (SLUs). The project is located on an "L" shaped parcel along a strong pedestrian path connecting the western residential campus with the eastern academic and athletic campus. The SLUs house two groups of 12 residents with similar interests, or themes. Multiple roofing materials are employed to vary the appearance and help create distinct buildings. BSHM master planned the new Johnstown High School to create a campus setting with the District’s Middle School Performing Arts Center and Sports Complex that allowed 21st Century learning to happen both inside and outside the building. The new school was designed to utilize the steep grades to create a three-story academic wing with a scale in accordance with the surrounding buildings. Massing and materials echo the character of the village. The station is designed in a response to unify the building types surrounding the site: a factory to the east, a large gable-roofed church to the west, and numerous houses to the north. 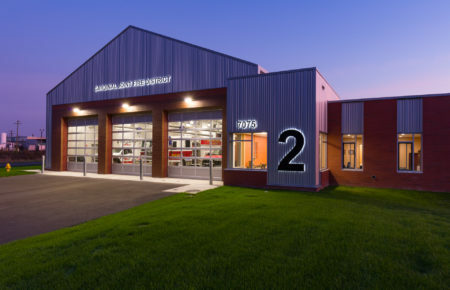 The building features a double deep apparatus bay for five vehicles, a 50 person training room, interior skills training features, bunks, offices, kitchen, day room and an exercise room. New Construction of the 12,000 SF Fire Station and EMS Facility started in late fall of 2016 and Owner occupancy was provided on June 26, 2017. Taft Technology Center is a Design/Build project located in downtown Youngstown, Ohio procured through a competitive design process. Home to Turning Technologies, the facility is owned by the Youngstown Business Incubator, whose credentials include being ranked 11th in the world for these types of business start-up generators. The building’s winning open plan embraces the Incubator’s concept of collaborative entrepreneurial partnerships. The heart of this major addition to the DeYor Performing Arts Centre is a 600-seat pure acoustic Recital Hall. The venue is also home to “Overture,” a full service restaurant for patrons and the public. The opaque zinc clad hall is a counterpoint to the transparent public spaces and adjoining restaurant which illuminate and enliven the bosque and streets bordering the facility. 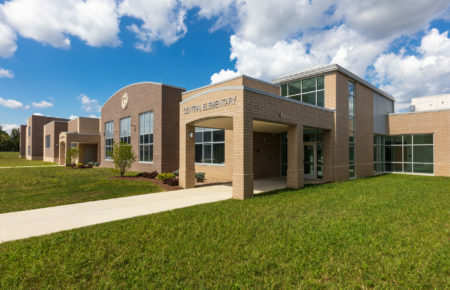 The new LEED Certified South Range School serves 1,350 students in grades K-12. The two-story brick building creates a campus feel using a familiar vernacular style reminiscent of the community’s older public buildings. Our most recent projects showcase the breadth of design strategies BSHM incorporates in creating design solutions for our clients.